The LIBERTY Sessions podcast is built on the premise that every woman has a unique gift to share with the world and by hearing the stories of other women, she can beginning to create her own story. Our mission is to give women the space to reflect, actualize and be intentional about the way they live their lives. We believe true liberation is found in this pursuit. Click below and join the conversations between our guests and host Nada Jones. Learn why they did it, how they did it, the road blocks they endured, the successes they have enjoyed, and the tips, tools and resources they used to make it all happen. Laura Grier, known as the “Indiana Jones of Adventure Travel Photography,” has been a photojournalist for the past 19 years exploring the world and documenting her findings on all seven continents. Rudayna Abdo is the Founder and CEO of Thaki, a non-profit created to help educational organizations provide motivational learning opportunities to refugee children through e-learning and digital literacy tools. Nicole Giordano wanted to help women in the fashion industry build successful businesses around the life they wanted, and not the other way around. She created Fashion Start Up, a membership community that supports independent designers (both newbies and seasoned) to build and grow their ventures on their own terms. Dyan Dolfi-Offutt is the Founder and CEO of Soda Pop PR, a PR and Influencer Marketing shop specializing in fresh campaigns, launches and events for food, beverage & lifestyle brands. Sadie Beaudet is the Founder and CEO of Tradlands, a clothing line offering essentials for women inspired by classic menswear. In this episode, Sadie shares how it all started with a button up shirt. Renata Stoica is the Chocolatier and CEO of tinyB Chocolates, a chocolate company that specializes in the official treat of Brazil--brigadeiros. In this episode, Renata shares how her successful career as a nurse left her wanting more. She wanted to devote time to something more creative. Carmen Ruiz de Huidobro is the Founder of ESPAÑOLITA, a platform that highlights all things great about Spanish culture, food and artisans. Whether its ESPAÑOLITA’s curated trips to Majorca, her Spanish inspired dinner series or sharing products and stories of native artisans, Carmen is committed to making sure you fall in love with her home country. In this special episode of LIBERTY Sessions, Nada celebrates the launch of LIBERTY’s Editorial Journal by interviewing powerhouse business owners, Clare Vivier of Clare V., and Emily Current and Meritt Elliott of THE GREAT. Ira Green is the Founder and CEO of Freedom Deodorant, a natural deodorant company. Within one year, three of Ira’s friends were diagnosed with breast cancer. After hearing about the risks associated with antiperspirant, she took matters into her own hands and began researching natural deodorants. Jennifer Yen is the Founder and CEO of Purlisse, a skincare company that is the culmination of Asian wisdom and modern philosophy. As an actress, Jennifer’s skin suffered from being subjected to heavy make-up and a rigorous filming schedules. 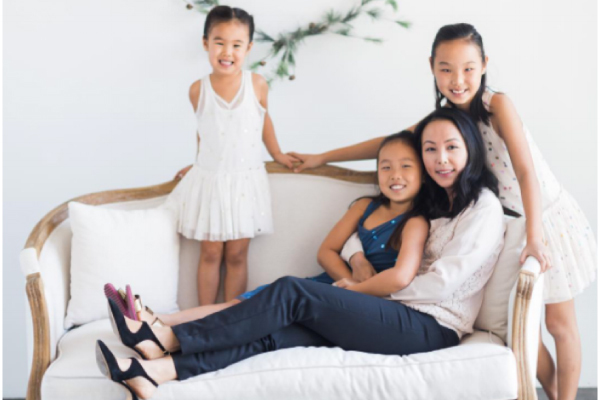 After unsuccessfully using various high end and natural skincare products on the market, Jennifer turned to her grandmother’s Asian beauty secrets to heal her skin. Devin Graciano is the Founder and CEO of Use Me hair products. The line consists of four luxurious hair products that are simple to understand and use. At a young age, Devin wanted to work in the hair industry. In the summer of 2016, Nada Jones, founder of LIBERTY, small business consultant, and author, along with Caroline McGraw, a social changemaker, producer, and documentarian, planned a trip to connect U.S. based designers with artisans in Swaziland and Mozambique. The goal of the trip was to find sustainable ways to employ African artisans through partnerships with U.S. designers. Dr. Sandra Lee is a board certified Dermatologist and social media sensation. In response to her enormous fan base, Dr. Pimple Popper, as she has come to be known as, has turned her focus to developing products and content to give her YouTube fans more of what they came for. Sica Schmitz is the Founder and CEO of Bead & Reel, an ethical fashion blog and online boutique. After spending a decade in the fashion industry, Sica was tired of struggling to find clothing and accessories that met her ethical values. Agatha Achindu is the Founder and Chief Yummy Officer of Yummy Spoonfuls, a fresh and organic baby and toddler food company. When Agatha immigrated from Cameroon in the 90’s, she was shocked by the amount of processed food U.S. grocery stores sold. As the daughter of a farmer, she grew up eating organic food from her family’s garden. Morgan Hamel is the Founder and CEO of The Garment, a platform that connects women to responsible clothing brands through capsule wardrobes.Morgan, an ethicist (yes--that’s a real thing), believes you can live a fuller, more vibrant life by owning fewer better things. Rachel Repko is the Founder and CEO of Repko Grants, a consultancy that supports non-profits in securing revenue from private and corporate grants. In the late 90’s Abigail Killeen discovered the powerful story of Babette’s Feast. As a theater artist, she began working to adapt a version of Babette’s Feast for the stage. After sitting with her dream to share this story for over a decade, Abigail was now ready to present this play to a larger audience--the only thing she needed was cash. Enter Jennifer King, a social entrepreneur and philanthropist and the Founder of The Rugged Elegance Foundation. Emily & Alina Serebryany are Co-Founders of Petaloom, an e-commerce company that celebrates relationships through planted gifts. Tune in a learn how this mother-daughter duo is plotting to disrupt the corporate and office gift market one plant at a time. Laura Williams is the Founder and CEO of Poppyhill Flowers, a Wedding & Event Floral Design company based in Los Angeles. Mareya Ibrahim is the Founder and CEO of Grow Green Industries, Inc., an eco solutions company focusing on produce food safety and shelf life. Grow Green Industries has created the Eat Cleaner product line which removes 99.99% of wax, pesticide and agricultural/handling residue that can carry bacteria from fresh produce. Jenny Zheng is the Founder and CEO of Little Fluffy Head Cafe, a Los Angeles based “cheese tea” shop selling an innovative, tasty treat new to the American market. Think of a fluffy cream cheese topping--not a block of cheese! Courtney Cowan is the Founder and CEO of Milk Jar Cookies, a Los Angeles based cookie shop selling small-batch handmade classic and adventurous cookies. Courtney has been baking cookies since she was a child, and this hobby continued to give her joy into her adult life. Mary Cecchini is the Founder, Chief Adventurer and Travel Designer of Living Big Travel, a travel company that offers hosted small group adventures and travel design to support women in making their vacation...a vacation! Liz Dennery Sanders is the Founder and CEO of SheBrand, a boutique branding and marketing firm specializing in women and women-owned businesses. Liz is also the author of a newly published book called Style & Substance: How to Create a Compelling Brand. Christine Hildebrand is the Founder and CEO of Emergent and Life Foundations. Two service-based companies that help businesses and individuals identify their mission and grow into their potential from the inside out. Jala Smith-Huys is the Founder and CEO of Seek & Swoon. A textile company that makes heirloom quality knit throws. These beautiful, recycled cotton blankets are inspired by faraway travels but made right here in America. Kathryn Petralia is the President and Co-Founder of Kabbage. A financial services data and technology platform that provides an automated application process for small business loans. Cristina Perez is an Attorney, Author, 3-time Emmy Winner Television Personality, Radio Host, and Speaker. She has used her passion for the law and people to educate the public on the importance of identity, family, diversity, and integrity. Jennifer Kennedy is the Founder and CEO of By Your Side Collection. Her business offers tangible ways for communities of friends to support and encourage through jewelry. Heather Trilling is the Founder & Principal of Trilling Landscape & Design and the Founder & Designer of the newly launched Lumber + Linen. In both businesses, she designs and curates intentional outdoor spaces. Brittany Merrill Underwood is the Founder and CEO of Akola Project, a non-profit jewelry brand that empowers marginalized women through training and employment in Dallas, Texas, and Uganda. Amy Swift is a Brand Strategist, Copy Writer and Founder of AmySwift.com as well as the Founder of SMARTY. Her secret sauce lies in helping brands to unpack and restructure their messaging. 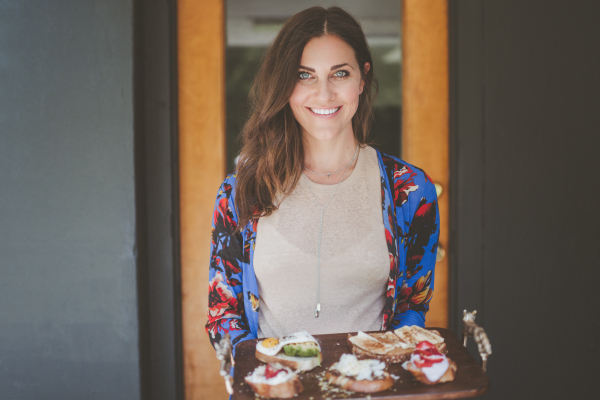 Kara Dykert is the Founder and CEO of Kara Elise and Author of Toast. She specializes in creating spaces that spark community. She is also a recipe creator, food stylist and officially the hostess with the mostess. Alexa Fischer is the Founder and CEO of AlexaFischer.com and Wishbeads. She specializes in teaching people how to speak their truth and find their internal light, in her words, “all 1000 watts”. Lauren Foundos is the Founder and CEO of FORTË, a streaming platform that brings live and on-demand boutique fitness classes to your home. It’s the Netflix of gym memberships. How cool is that? Carley Rudd is a travel photographer and so much more. In addition to capturing exotic photos from all over the world, Carley also creates visual content for other brands. A creative soul from the beginning, she was raised by two artists and was always the “girl with the camera” growing up. 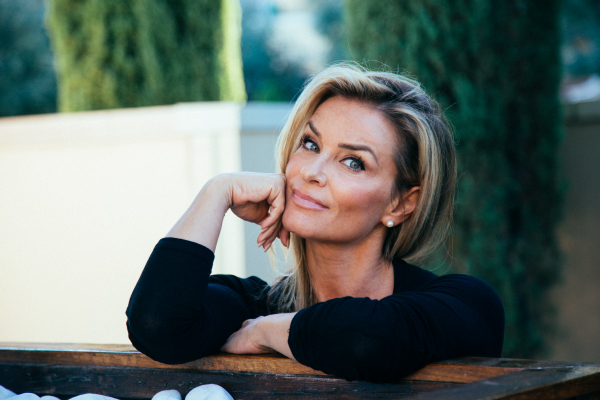 Samantha Ettus is a work/life wellness expert, keynote speaker, bestselling author, entrepreneur, Forbes contributor, and Founder of SamanthaEttus.com—Whew, that took a minute! This lady is serious about helping people lead more fulfilled lives! Blythe Hill is the Founder and CEO of Dressember, a crowdfunding foundation working to raise awareness and provide anti-trafficking grants for organizations who are working to end human trafficking. LIBERTY Sessions with Nada Jones is switching it up this week! In this episode, Nada shares 5 listener questions about growing their small businesses. She offers insightful advice that can be applied to various types of businesses and a few examples to better illustrate solutions. 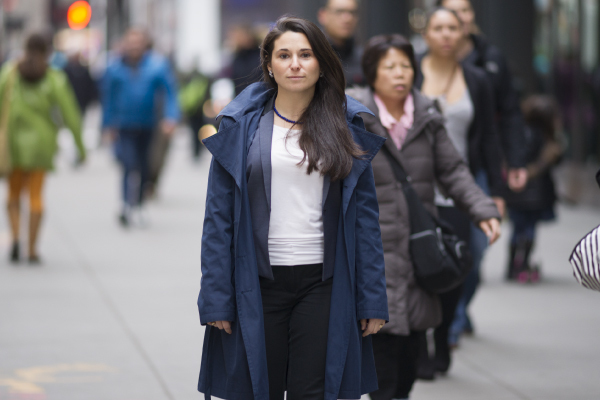 Andrea Weinberg is the Founder and CEO of ANDI, a line of bags made for the daily commute or adventure travels. While in the midst of completing her MBA and working a full-time job, Andrea identified a gap in the accessories industry. She needed a bag that she could use for work, travel, and daily life that was both durable and luxurious. Sarah Magidoff is the Founder and Creative Director of Canopy, a boutique creative studio designing for emerging brands. From a very young age, Sarah had her sights on being an architect and she worked hard to land in a reputable firm. Tami Spenst is a multi-passionate entrepreneur. As an actor, interior designer and founder of Pluck, co-founder and co-owner of the Wheelhouse bike and coffee shop, she’s been traversing over the uncharted territory of maintaining three different ventures. Iman Oubou, a published scientist, philanthropist, beauty queen and entrepreneur, is the Founder and CEO of SWAAY Media and the Entrepreneurs En Vogue podcast. On the heels of being crowned Miss New York US in 2015, Iman sought for a meaningful way to utilize her platform. She launched the podcast to provide a space to share stories of successful female entrepreneurs. Lauren Wallis is the Co-Founder and President of YOUME Clothing, a San Diego based nonprofit that exists to renew and empower communities through collaborative repurposing partnerships. YOUME Clothing turns rags into resources by providing new school uniforms to children in exchange for their oldest used piece of clothing. Anne Sage is a Content Creator. As a blogger, stylist, author and influencer she’s been navigating the road less travelled in an industry that is still unfolding. Back 2008 Anne, in hopes of having a running resume ready for Martha Stewart Living, started a blog. Celeste Liversidge is a 20 year veteran lawyer and has spent the last 12 years focusing on adoption. In her tenure, as an lawyer, she has been listening, observing, and identifying the gaps in the adoption industry. Sarah Contrucci Smith is the Founder and CEO of Ara Collective, a collection of handpicked artisanal pieces blending traditional craftsmanship with modern style. In this episode, learn how Sarah's love of finding exceptional artisans while strolling local marketplaces ignited a vision for what could be. Jen and Annie, the co-founders of Tribe of Dreamers, have a rom-com style story on how they met and created Tribe of Dreamers. These two women became business partners and friends as they created and sold beautiful jewelry to make the world a better place. Our final installment of the live LIBERTY Sessions in Pasadena. We've had a blast sharing these panel discussions and our brains are filling up with ideas and inspiration that will carry us for months!! Listen in as Nada Jones interviews this stellar panel of entrepreneurial women. Rachel is the Founder & CEO of Rachel Pally, Inc. a Los Angeles based women’s clothing manufacturing company. In this episode, hear about how Rachel discovered her love for designing clothes while volunteering at Berkley's costume shop for credit hours towards her dance minor. Rachel Brown is an artist whose entrepreneurial spirit has helped her create a thriving business. In this episode, hear about how Rachel fell in love with California while on a road trip.The Missouri native packed her bags and headed west in hopes of pursuing a creative career. Jan is an extraordinary multi-hyphenated creative business entrepreneur. In this episode, Jan shares how her experience as an entrepreneur, an artist, and co-owner of several businesses with her husband, established her as a trusted advisor for entrepreneurs in all stages of development. Jan generously shares this knowledge through her radio show, mastermind groups, and business coaching. Our second live LIBERTY Sessions event from the Santa Monica WeWork offices. What do you get when a graphic designer, an author, an editor and an attorney all congregate together? A killer night of boss babes breaking it down! Listen in as Nada Jones interviews this stellar panel of entrepreneurial women. 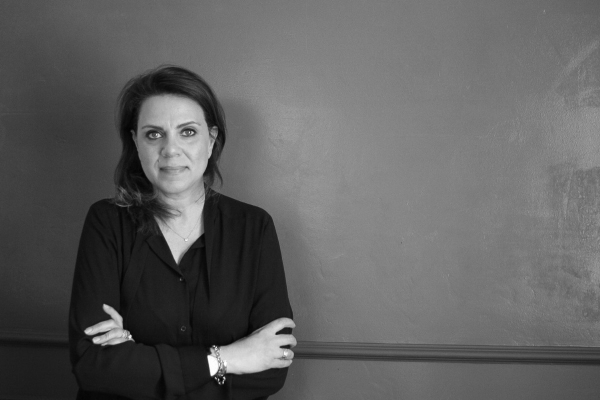 Rachel is the Founder & CEO of Rachel Pally, Inc. a Los Angeles based women’s clothing manufacturing company. In this episode, hear about how Rachel discovered her love for designing clothes while volunteering at Berkley's costume shop for credit hours towards her dance minor. Brittney is the Founder & CEO of Financially Wise Women. In this episode, hear how Brittney pivoted from a traditional trajectory in the financial planning industry to launching her own firm specifically to empower women in their own financial journey. From our first live LIBERTY Sessions in Los Angeles. Listen in as Nada Jones interviews this stellar panel of entrepreneurial women from various businesses. Each shares her story, successes, challenges and tips for all women who are thinking about starting their own venture or those needing a little motivation to stay the course. Jessica is the Founder & Co-CEO of Noonday Collection. In this episode, hear how Jessica’s creative problem-solving efforts helped her launch a socially responsible business. Claire Crisp is the Author of Waking Mathilda, a memoir. She is also an Advocate for both Narcolepsy and self-publishing. In this episode, hear how Claire was led to share her family’s life changing experience with chronic illness. 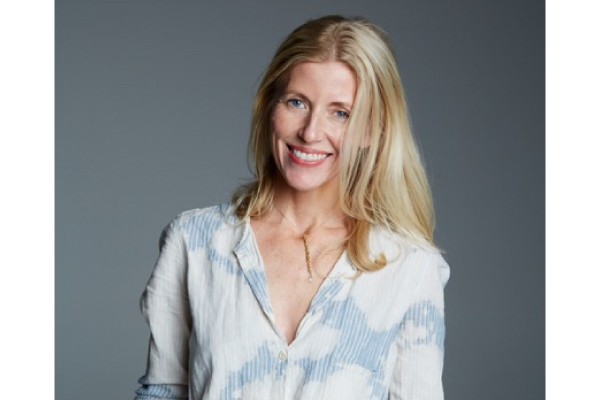 Jillian is a New York Times Bestselling Author of the memoir Some Girls: My Life in a Harem, and the novel Pretty, as well as her newest memoir Everything I Ever Wanted. In this episode, hear about how Jillian rediscovered her love for writing during some growing times in her life. Marley is the Founder and CEO of The Party Goddess!, a nationally acclaimed full service event planning and catering company. In this episode, hear about how Marley, recovering from a bad ski accident, a divorce, and the dissolving of her co-owned restaurant/catering company, wanted to re-invent herself. Hanna is the Co-Founder and President of Lollaland, an infant and toddler goods manufacturing company designed to be functional and fun. In this episode, hear about how Hanna, a chemistry teacher at home with her daughter, decided to design a straw cup that was easy to use, easy to clean, safe (BPA/BPS-, PVC-. Phthalate-free, etc. ), Made in the USA, and just plain attractive. Kimberly and Kate are the Founders and CEO/COO of GRACEDbyGRIT, a premium athletic apparel company designed to empower and keep women safe. 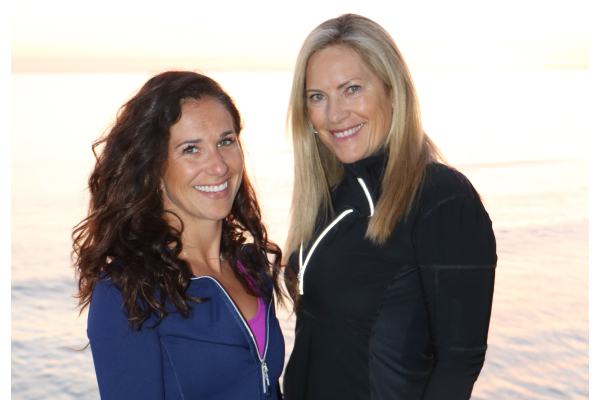 In this episode, hear how Kate and Kimberly came up with the concept of their business while training for triathlons together. Jessica is the Designer and Art Director of the Jessica Comingore Studio a lifestyle branding company. In this episode, hear about how Jessica knew from an early age that she wanted to be a business owner and learn how she eventually got there. Kirsten Blazek is the Founder and expert Creative Director of A 1000 x Better a staging and interior design company. In this episode, Kirsten shares how the encouragement of a friend inspired her to create her own dream job. Meet Nada Jones, a seasoned small business consultant and author, and the host of LIBERTY Sessions! Listen as she shares her journey of pursuing her own venture(s) and why she started this podcast for all those women who have an entrepreneurial spirit.